The perfect gift for the Princess in your life! 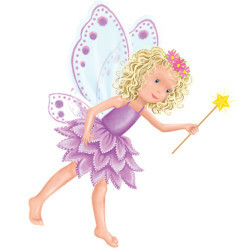 Have you ever met a fluttery Butterfly Fairy? Follow Grace and Evie down to the bottom of their garden. It’s a place full of tulip flowerbeds, spinning crocus petals and shimmering puffs of fairy dust. Discover fairies, magic fairy dust, rainbows and palaces. 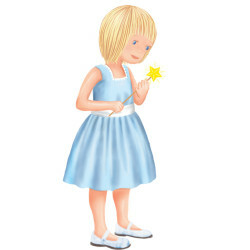 The Sparkly Sleepy-Time Wand is not just a beautiful book, with gorgeous illustrations and a lovely story line, but each reader gets their own sparkly sleepy-time wand in a secret compartment at the back of each book and a CD with an audio version of the story read by actress Lucy Benjamin. It is also a great sleep aid to help young children (particularly six and under) to learn how to resettle themselves and get a full night of sleep. Rosie’s Rainbow Fund supports sick and disabled children in hospital, school and in the community. A donation of 50p for every book sold goes to the children’s charity Rosie’s Rainbow Fund. 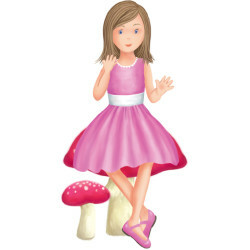 Grace, big sister to Evie, loves to play amongst the wild flowers and flittery-fluttery butterflies at the bottom of the garden. Who knew that she'd discover a magical Butterfly Fairy Kingdom there! Evie adores playing all day with her big sister Grace, but by the afternoon she has to take a nap because her night-time waking makes her so tired. But all that is about to change when she meets Bessie and Rosie, the Butterfly Fairies! Bessie loves to look after sleeping children in the night-time by sprinkling magical fairy dust over them to give them sweet dreams. She even has a special Sparkly Sleepy-Time Wand to help children feel safe at night! 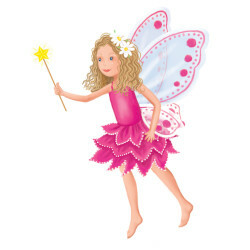 Rosie enjoys magical spells by waving her wand and filling the air with shimmering puffs of fairy dust. She uses her magic to change Grace and Evie to the same size as the tiny fairies. Now they can explore the Butterfly Fairy Kingdom! The actress Lucy Benjamin, most well known for her role in Eastenders, brings the story to life in her animated audio version of the book on the accompanying CD. Lucy is a Patron of Rosie’s Rainbow Fund and has two young daughters, Bessie and Rosie. Born in England, Catherine married an Aussie and moved to Australia in 2011 with their two young daughters, Grace and Evie. 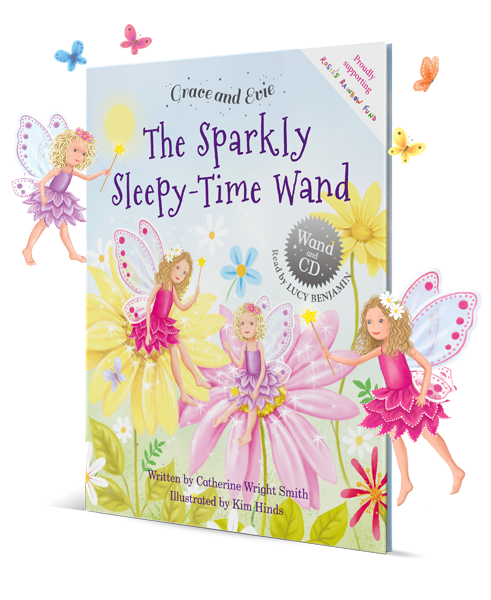 It was in Australia that she wrote The Sparkly Sleepy-Time Wand when her eldest daughter was just three (in the midst of sleep deprivation territory). Catherine returns to the UK when she can and has worked in marketing for Allianz and for children’s charities including Barnados and The Children’s Society. Rosie's Rainbow Fund, Registered Charity No. 1105243.